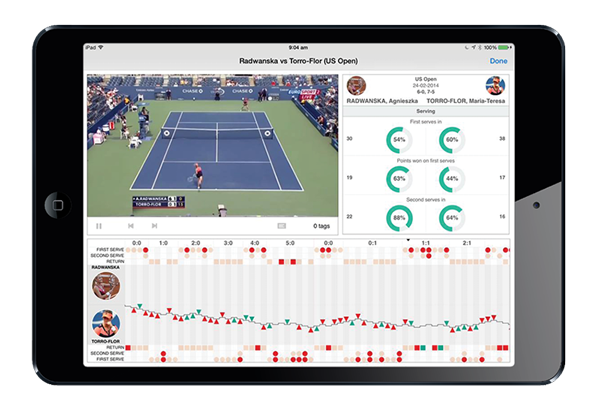 During 2014 PERANA SPORTS have been working with the High Performance Team at Tennis Australia to develop ground breaking software to provide statistical and video analysis for players and coaches. 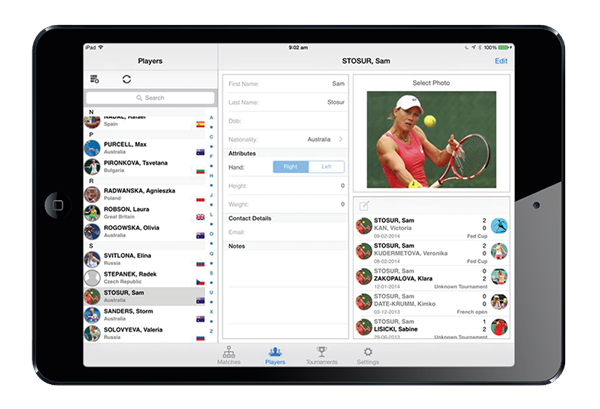 This software has been used exclusively by Tennis Australia to prepare players for the high performance cauldron of international tennis competition. During 2015 PERANA SPORTS will further develop this software for commercial release and would be more than happy to work with clubs, colleges and national bodies in developing projects that will meet their needs. Once the video is synchronised with the statistics you can view the associated tags on the video screen. A list of events via a time line is listed as well as a court-view where the shots are displayed. This screen show all matches that have been coded by a selected player. From this screen you can also select a combination of matches for analysis. This display shows game momentum along with associated video from a coded game. You have the ability to click on any section of the screen to view the associated video. Once the game has been coded you can view the game on the video screen. You will also see a list of the events on the right side of the screen. The interface on this screen allows you to filter all events. You can select player(s), sets, skill, points won, game score etc. 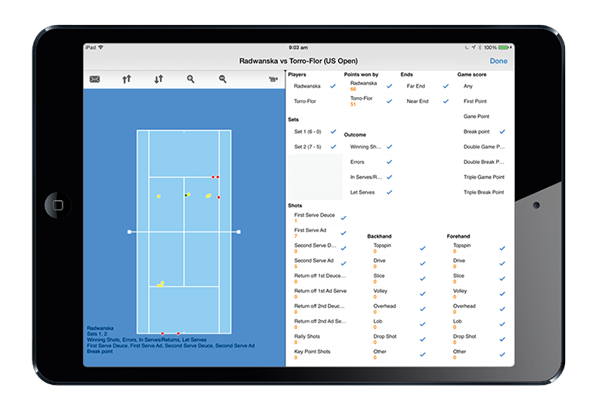 Each event or combination of events can be viewed as video or on the court-view.